While not without its issues, the Xiaomi Redmi Note 3 excels in key areas where its competitors do not, including its premium build quality, exceptional battery life, and the availability of a fast and accurate fingerprint reader, all for an impressive sub-$200 price point. Along with a larger focus on affordability this year in the mid-range and high-end segments, there has also been a slew of lower-end smartphones launched, falling in the sub-$200 category, that have proved to be impressive as well. Granted, these devices aren’t perfect and often have their fair share of compromises, but Chinese OEM Xiaomi is looking to shake things up with their latest addition to the affordable Redmi series. Does this device prove to be a compelling choice? 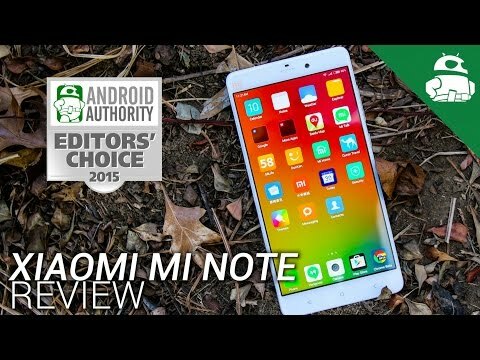 We find out, in this in-depth Xiaomi Redmi Note 3 review! The Redmi Note 3 may feature some elements of the design language of its predecessor, but when it comes to build quality, the metal unibody construction of the former is in stark contrast to the matte finish plastic build of the Redmi Note 2. That’s not to say that the build quality and design of the Redmi Note 2 was bad by an stretch, but the premium look and feel its successor provides is certainly something that users will appreciate, and is a very pleasant surprise, given its price point. The curved edges and sides of the device make for a somewhat better handling experience, but the metal body is quite slippery, so using this rather large phone with one hand isn’t the easiest. The metal backing transitions into convincingly colored plastic caps at the top and bottom that are likely in place to help with antenna reception, but also provide a nice gripping point when holding the device in the landscape orientation. Taking a look around the device, the power button and volume rocker are on the right side, and provide exceptional tactile feedback and responsiveness. The headphone jack and microUSB port are at the top and bottom respectively, and up top is also an IR blaster. On the back is the single speaker unit, along with the new addition of a fingerprint scanner that is found below the camera. Up front are three capacitive navigation keys, with the first being assignable to open either the Recent Apps tray or an App Menu. The Redmi Note 3 comes with a 5.5-inch IPS LCD display with a 1920 x 1080 resolution, resulting in a pixel density of 403 ppi. The display is quite good overall, but is somewhat lacking in contrast and resolution, and there are certainly devices that fall in this price range with better displays out there. The display’s sunlight readability and minimum brightness level are notably good however, and the adaptive brightness feature also worked really well during our testing. Under the hood, the Redmi Note 3 comes with an octa-core MediaTek Helio X10 processor, clocked at 2 GHz, and backed by the PowerVR G6200 GPU and 2 or 3 GB of RAM. This particular review unit is of the 3 GB RAM variety, and as expected, multi-tasking is a breeze, but 2 GB of RAM should be more than enough as well. On the performance front, the Redmi Note 3 performs surprisingly well, especially when considering its price point. Everything is very smooth, and minimal lag is to be seen only when running more processor-intensive tasks. Gaming is also very enjoyable on the device, but keep in mind that this is only when the device is set to Performance Mode, and there is some stutter and lag when switched to the other battery modes. 16 GB or 32 GB storage options are available, which also determines the RAM you get, but with no expandable storage via microSD card to be found, most users will be better off opting for the higher storage version anyway. The device also comes with a standard suite of connectivity options, but given the fact that it isn’t officially available in the US, access to 4G LTE networks isn’t possible. HSPA+ on the AT&T and T-Mobile networks is plenty fast though, and the call quality proved to be pretty good as well. The rear speaker of the Redmi Note 3 is about average, and while it gets reasonably loud, the sound quality is tinny and somewhat distorted. The speaker is also very easy to muffle when the device is placed on a flat surface, as is the case with most rear speaker setups. A new addition in hardware is the fingerprint scanner on the back, which is ideally placed to be within comfortable reach of the index finger, and proves to be fast and very accurate. When compared to the high-end Nexus 6P, the scanner may not be as fast, but the accuracy is just as good, which is fantastic to see on an affordable smartphone. The battery of the Redmi Note 3 may not be user replaceable, but making up for it is its large 4,000 mAh capacity. The battery life is impressive, with anywhere between 4 and 5 and a half hours of screen-on time possible, and the device has no problem allowing for a full day of usage comfortably. There is no fast charging capabilities to be had, but the great battery life means that it isn’t a requirement either. The Redmi Note 3 comes with a 13 MP rear camera, with a f/2.2 aperture and phase detection auto focus, along with a 5 MP front-facing camera with a f/2.0 aperture. Overall, the primary camera allows for decent image quality. There does seem to be a lack of saturation and detail in most images however, and the camera does have a tendency to underexpose outdoor shots as well. HDR does help with the latter issue, but using this mode adds a few seconds to the shooting time. Indoor images also contain noticeable amounts of digital noise, but don’t look that bad. As far as the camera application is concerned, you do get an easy to use auto experience, but there are also a number of filters and camera modes available for those who want to use them, including panorama, a timer mode, and a manual mode, that allows for granular control over aspects like white balance and ISO, which is certainly nice to have. On the software side of things is where Xiaomi seems to have injected the most value into the Redmi Note 3. 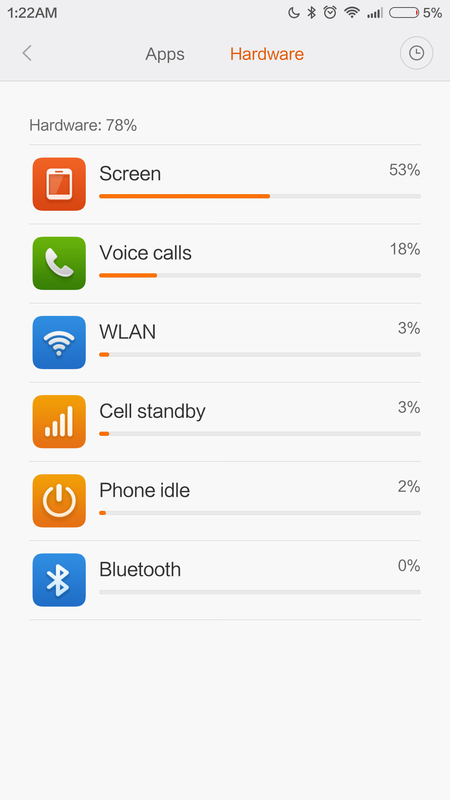 The latest version of MIUI 7 is based on Android 5.0.2 Lollipop, but with it being a very heavily skinned interface, you won’t notice any Material Design elements. However, MIUI is arguably one of the most polished skins around, courtesy of the amount of customization and number of features it offers. Some of these features include transition effects, and weekly developer OTA updates, and with everything being smooth and snappy overall, MIUI allows for one of the best software experiences available on a device priced at under $200. There are some elements that take some getting used to however, such as the lack of an app drawer, leaving users dependent on folders to keep things organized, and the inability to dismiss notifications directly from the lock screen. Given that this version of the device is intended for the Chinese market, Google apps aren’t pre-installed, and while it is quite easy to install them, they don’t always work as well as one would expect. It’s important to note here that a global version of the device will be available shortly which will have the Google apps built in, and so, you can wait a little longer to avoid the hassle of going through the process. Xiaomi hasn’t had the best track record with offering the latest versions of Android, as is very evident here, but what they do offer frequent software updates for the MIUI OS that essentially includes all the features that you’d expect from newer versions of Android. If you are a stickler for running the latest and greatest, keep in mind that the Redmi Note 3 may not see anything beyond Android 5.0.2 Lollipop, but lack of features is certainly not going to be a concern. The Xiaomi Redmi Note 3 is currently available only in China, priced at RMB 899 for the 16 GB and 2 GB RAM version, while the Prime iteration, with 32 GB storage and 3 GB of RAM, is priced at RMB 1,099, which roughly translates to $140 and $172 respectively. Importing the device will result in a higher price tag, but the soon to be released global version should feature the same pricing. So there you have it for this detailed look at the Xiaomi Redmi Note 3! Like most other smartphones that fall in the sub-$200 category, the Xiaomi Redmi Note 3 has its issues, particularly with its lackluster display and average camera experience. However, this smartphone does excel in key areas where its competitors do not, including its fantastic design and build quality, exceptional battery life, and the inclusion of a fast and accurate fingerprint scanner. 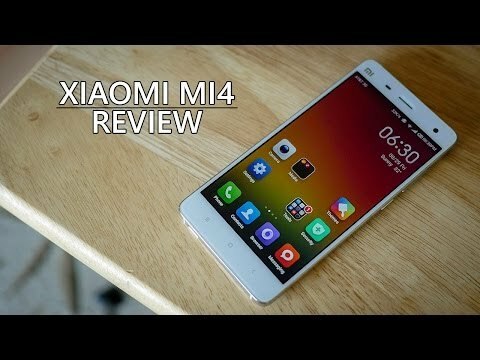 This is yet another very commendable effort from Xiaomi, and is a device that is certainly worthy of your consideration.